A new project funded by the US intelligence community’s research unit aims to automate the collection and analysis of videos from YouTube and other popular online platforms, with the intent of unearthing “valuable intelligence”. The program is called Automated Low-Level Analysis and Description of Diverse Intelligence Video (ALADDIN). It is directed by the Intelligence Advanced Research Projects Activity (IARPA), whose mission is to work under the Director of National Intelligence to create hi-tech applications for America’s intelligence agencies. 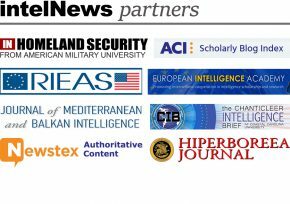 Few people are aware of the existence of IARPA, which was quietly established in 2007, is based at the University of Maryland, and is staffed mostly by CIA personnel. The research body’s latest project apparently aims to equip the US intelligence community with the ability to scan “for the occurrence of specific events of interest” embedded in online video files, and then “rapidly and automatically produce a textual English-language recounting [and] describing the particular scene, actors, objects and activities involved”. This is not the first time that the US intelligence has shown interest in monitoring YouTube. Last October, it was revealed that the CIA funded a private software company specializing in monitoring online social media, such as YouTube, Twitter and Flickr. There are also persistent rumors that the National Security Agency, America’s communications spying outfit, is actively monitoring popular social networking sites in order to make links between individuals and construct maps of who associates with whom. The US Pentagon is also said to be monitoring YouTube and Twitter, among other social networking sites.